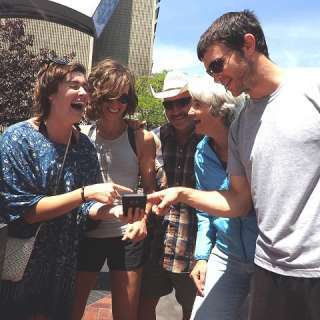 Turn Asheville into a giant game board with this fun scavenger hunt adventure. Combine the excitement of the Amazing Race with a three-hour city tour. Guided from any smart phone, teams make their way among well known and overlooked gems of the city, solving clues and completing challenges while learning local history. Your Amazing Scavenger Hunt Adventure will begin in the heart of the city and take you to an amazing collection of outdoor art, historic parks, and monuments dedicated to the city's famous citizens and historical events. The game route will show you some of the best sights of the city, all while challenging your mind and capacity for fun. Available 365 days a year, sunrise to sunset. Start when you want and play at your pace.